Bali, December 22th 2014 â€“ Archipelago Internationalâ€™s popular select service hotel brand, favehotel, is making its debut on the flourishing island of Lombok. Opening its doors in early of 2015 for travelers seeking a modern, comfortable, professional and well-managed hotel, favehotel Langko Mataram â€“ Lombok will be ideally situated in the heart of Lombok's thriving capital, Mataram. favehotel Langko Mataram â€“ Lombok will also be a prime choice for leisure travelers, with the beautiful Senggigi Beach just 20 minutes away. Almost all of Indonesia's tourists are familiar with Bali, renowned throughout the world as a tropical paradise with a fascinating and unique culture, however, many are yet to discover Lombok, Baliâ€™s neighbor, whose beaches are uncrowded and where tourism areas are not marred by high-density development. 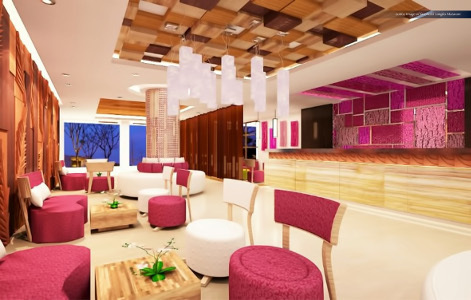 Set to cater to the island's growing number of tourists learning of Lombok's undiscovered beauty, favehotel Langko Mataram â€“ Lombok will consist of 117 rooms, all non-smoking and decked out in faves hallmark edgy design. 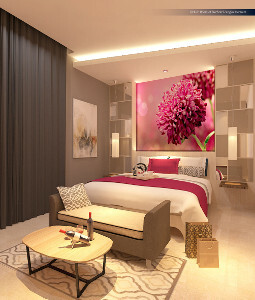 Unlike most budget choices, each room will be equipped with high-end amenities, such as LED TVs and 100% knot-count linens, bringing the signature favehotel experience to yet another paradise island. â€œOur favehotel brand has gone from strength to strength over the years, so we at Archipelago International are delighted to be marking yet another impressive milestone, this time celebrating two significant achievements with one opening. Not only will favehotel Langko Mataram â€“ Lombok be our first fave on Lombok, it will also be our 32nd property in Indonesia, a milestone we are very proud to be commemorating.â€ Said Norbert Vas, Archipelago International's VP Sales & Marketing. Since its inception in 2009, favehotels have been in the forefront of the budget hotel sector, redefining the industryâ€™s standards for select service hotels. Imaginative design and mid-market features such as high quality bedding, complimentary high-speed internet access and LCD televisions have awarded the chain with a number of accolades, namely for their user friendly website that offers instant easy bookings and best rate guarantees for internet savvy customers. favehotels recently won the â€œIndonesian Best Budget Hotel Chain Awardâ€ and aims to be Indonesiaâ€™s best in class as well as the largest and most consistent budget hotel chain promising uncompromising standards for cleanliness and safety, with a network covering the entire archipelago. The group has announced plans to open more than 30 new hotels within the coming 2 years.